A recent study of 9/11 survivors, published in the online journal Injury Epidemiology, confirms that intense exposure to the toxic dust of the World Trade Center on September 11, 2001 — but not subsequently — was enough to cause significantly greater risk of heart and lung disease a decade or more later. The study was co-authored by Howard E. Alper, Shengchao Yu, and Robert M. Brackbill of the New York City Department of Health and Mental Hygiene, and Steven D. Stellman of the Mailman School of Public Health at Columbia University. It examined data on 8,701 people in the World Trade Center Health Registry, consisting of 7,503 area workers, 249 rescue workers, 131 residents and 818 people on the surrounding streets. 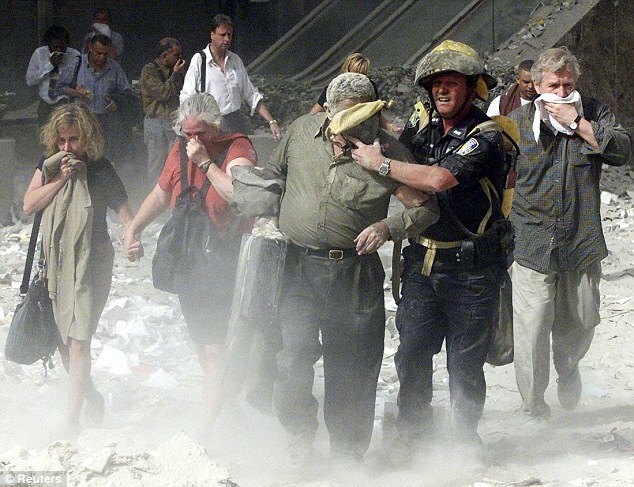 The study concluded that 9/11 survivors who suffered an injury, such as fractures, head injuries or sprains, were statistically more likely to develop chest pains or have heart attacks. The risk was even greater if they sustained more than one such injury. Dust exposure on its own was not enough to increase the risk of asthma but was associated with a higher risk of another type of lung disease, especially when coupled with trauma or smoking. This study is important now because we are just beginning to understand that illnesses suffered by WTC rescue and recovery workers are only the tip of the iceberg. As time progresses, more and more survivors are getting sick from cancers that have long latency periods. These victims include office workers who experienced intense exposure to dust on 9/11 as well as persistent lower-level exposure in southern Manhattan in the subsequent months. It’s important for these people to know they have a right to free health screenings and treatment for 9/11-related conditions and monetary compensation for their physical injuries. But these rights are time limited, so anyone who suspects their illness may be 9/11-related needs to act now.